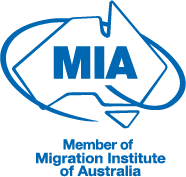 Australia's immigration policy, laws and procedures are highly complex and subject to frequent changes. Rather than risking your future by self-managing the process, engage Pathway Lawyers & Migration Agents to assist you in your planned move and help you choose the right visa for Australia. Pathway's team is acutely aware of these ongoing changes, ensuring you receive complete and proper legal and migration services. Pathway's legal and migration credentials mean our team provides you with a comprehensive and cost-effective relocation strategy that best fits your situation. We take pride in meticulously examining all of your circumstances, to ensure that the right Australian visa is chosen, and requirements met to apply for the best visa for you. In the unfortunate event that your visa application is unsuccessful, Pathway's legal team is qualified to file an application for a merits review on your behalf in the Administrative Appeals Tribunal (AAT). If the AAT affirms the refusal of your visa, Pathway may be able to seek judicial review at the Australian Federal Circuit Court on your behalf. For an obligation-free appraisal of which Australian visa best suits your personal circumstances, contact Pathway's experienced immigration specialists. Newly signed clients will receive a complementary 30 minute consultation on general relocation issues.